Modern food technology allows designing products aiming to simulate and replace traditional food. In affluent societies there is a rising tendency to consume foods derived from plants including milk imitations or plant drinks based on cereals, nuts, legumes, oil seeds or other plant families. Herein we review production and composition of such drinks, summarize consumers’ motivations to change from milk to plant drinks and highlight nutritional and health implications of consuming plant drinks instead of milk, in particular if non-fortified and if consumed by infants, children, adolescents and the elderly. 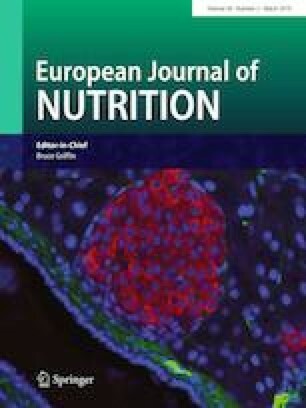 Whereas the macronutrient concentrations of some plant drinks (soy) may approach in some cases (protein) that of cow’s milk, the nutritional quality of most plant drinks, e.g., the biological value of protein and the presence and amount of vitamins and essential minerals with high bioavailability does not. If cow’s milk is exchanged for non-fortified and non-supplemented plant drinks consumers may risk deficiencies of calcium, zinc, iodine, vitamins B2, B12, D, A, and indispensable amino acids, particularly in infants and toddlers who traditionally consume significant portions of milk. The vegetable nature, appearance and taste of such plant drinks may be appealing to adult consumers and be chosen for adding variety to the menu. However, in young children fed exclusively such plant drinks severe metabolic disturbances may occur. Parents, dietitians, physicians and consumers should be aware of such potential risks, if non-fortified plant drinks are consumed instead of milk. On behalf of all authors the corresponding author states that there is no conflict of interest.